I was playing through some progressions in preparation for the next module of TRIADS: Inside Out, and this chord just came out. Had to share! There’s also the bonus Add9 that can be played by dropping the shape down one string set and adjusting for string 2(B). You can download all the chord shapes that I show in the breakdown here. I had requests on Instagram to add audio/video of me playing my ‘Chord of the Day’ so I thought it best to create a video when I post a new chord with some additional insight, and add it here on my blog. 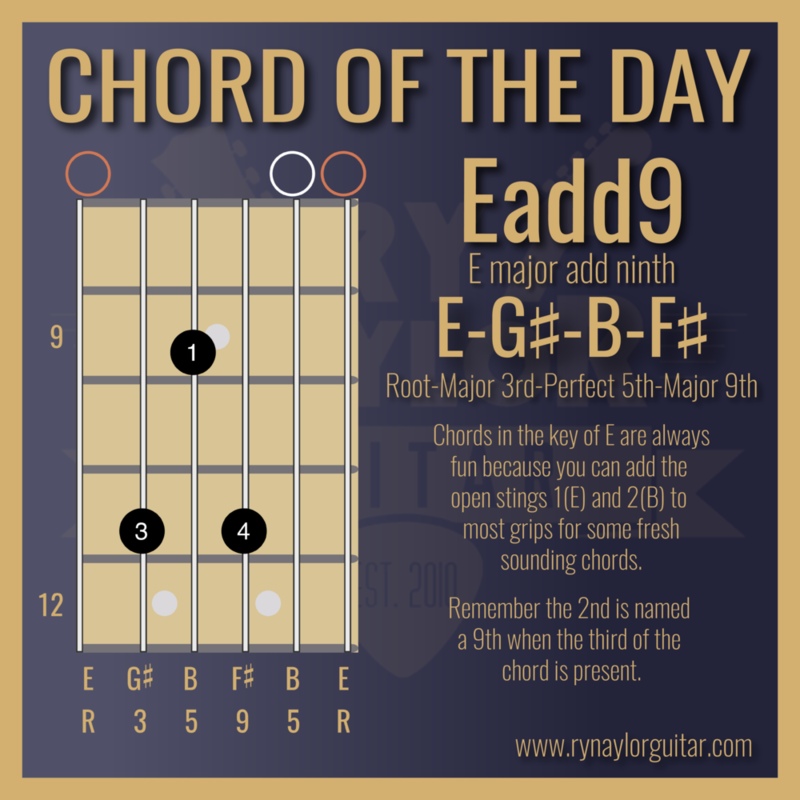 Today’s chord is the open position D major seventh (Dmaj7). Adding the major seventh to a major triad instantly gives it that dreamy, jazzy quality and this is no exception. It’s a great little workout for your barre finger 1 if you’re just getting started out with barre chords too. When harmonising the major scale, the maj7 chord is found upon the 1st and 4th scale degrees, so you can safely replace a I or IV chord with a Imaj7 or IVmaj7 (as long as it sounds good!). In a minor key, it would be a b IIImaj7 and b VImaj7. This Dmaj7 could then be used in the key of D major (or its relative minor, B minor) or A major (F# minor). Always use your ears though when trying different chords in a progression. 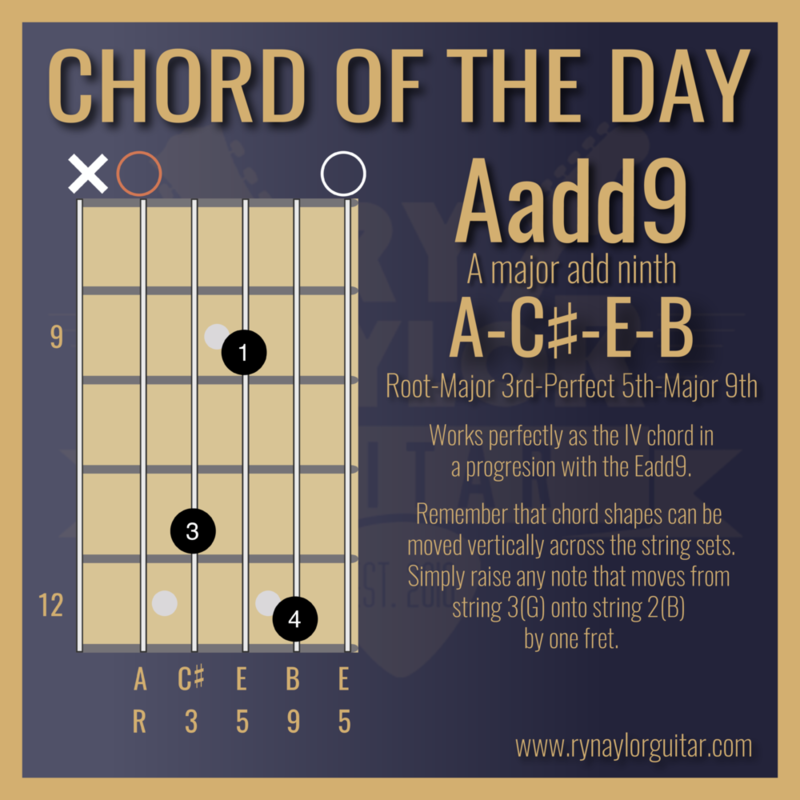 What’s particularly of interest is that any maj7 chord can be thought of as a Root note plus a minor triad formed upon the major 3rd (3) of the maj7 chord. In this example, the 3 is the note F#. Therefore, you can play a Dmaj7 chord by playing an F# minor triad over a D bass note (thinking in slash chords - F#m/D). With that knowledge you can quickly play three different voicings of the Dmaj7 by playing up the three inversions of the F#m triad on string set 1 (EBG). My newest course ‘TRIADS: Inside Out’ is now open for enrolment and will going into much more detail of triad substitution for seventh chords. The first module will teach you all the triad inversions on string set 1. You can get more details here or in the sidebar. 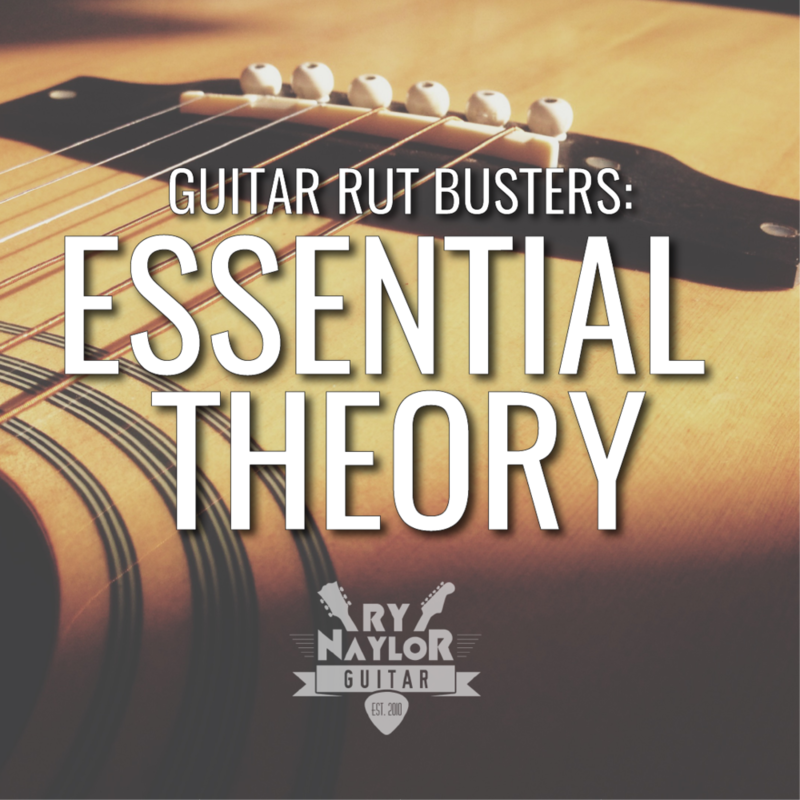 If this is a little over your head right now then definitely check out my other course 'Guitar Rut Busters: Essential Theory’. P.S. Can you think of any other ways we can use triads to create seventh chords?